PREVIOUS UPDATE: "Justin Bieber Live in Manila" concert is happening tonight, May 10, at the SM Mall of Asia (MOA) Concert Grounds. A lot of Filipino Bieliebers are so excited for Justin Bieber's Live in Manila concert tonight, his first ever concert here in the Philippines. Just like any other international performers who held a concert here, for sure by this time, Justin Bieber has already arrived here in Manila. Fans are wondering why there's no single TV coverage nor a photo of his arrival from the airport. 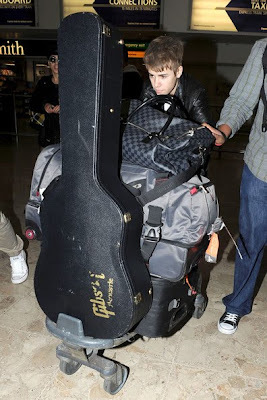 An alleged photo of Justin Bieber's Manila arrival has circulated on Twitter since yesterday, but it turned out to be fake, as it's a photo of Justin's arrival in London's Heathrow Airport last March 3, 2011. Very much the same right? It's possible though that he hasn't arrived yet. There are claims that Justin Bieber is arriving in Manila's Ninoy Aquino International Airport (NAIA) at 2:30PM today and will go straight to a press conference. 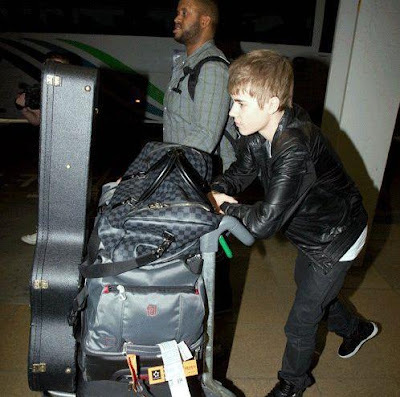 From his concert in Australia last May 7, Bieber flew to Singapore and from there, he will take a flight going to Manila. On Twitter, Justin Bieber has also not posted anything about his Manila arrival, a sign that he hasn't arrived yet. Or is he keeping it a secret so he won't be mobbed by fans? Whatever it is, Justin Bieber fever is definitely here already as the concert happens tonight. Goodluck Bieber fans! Prepare your best cheer and loudest scream tonight!